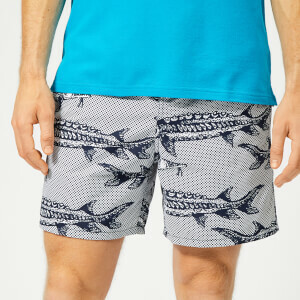 Vilebrequin ‘Moorea’ swim shorts with a bold all-over fish print. Originally released in 1971, the classic swim shorts are crafted from fast drying fabric. The patterned shorts are designed with two side pockets and a Velcro fastened back pocket, which has been cut out and applied by hand to perfectly match the pattern.